The annual Perseid meteor shower is upon us, and this year the dark, moonless sky promises exceptional viewing. If the weather cooperates and the sky isn't shrouded with smoke from nearby wildfires, this could be a spectacular show. The Perseid shower peaks between August 12 and 13 this year, so the best time to view them will be after midnight on Wednesday and into the early morning hours on Thursday. With the moon only one day away from its New phase, there will be no moonlight to interfere. For best viewing, find a location as far away from city lights as possible, where the skies are darker. The San Francisco Bay Area is blessed by a ring of hill and mountain ranges that can provide good shelter from light pollution, so find your local dark spot and throw out a blanket. Just keep in mind that coastal areas are often subject to fog this time of year. In the South Bay, Henry Coe State Park is a prime spot for meteor viewing, in part due to dark skies, but also because the park entrance is open around the clock all year long. At Chabot Space & Science Center we'll open our observatory deck for viewing from midnight to 3 a.m. on Thursday. The Perseids have been called the "Old Faithful" of meteor showers. They reliably deliver high numbers of bright, fast meteors that often dazzle and thrill earthbound spectators. The main spoilers of a good show are light pollution (urban and/or moonlight), weather, and an unwillingness to stay up after midnight to see them. This year, fortunately, most of these factors are within our control, and you have a good shot at a breathtaking meteor adventure. 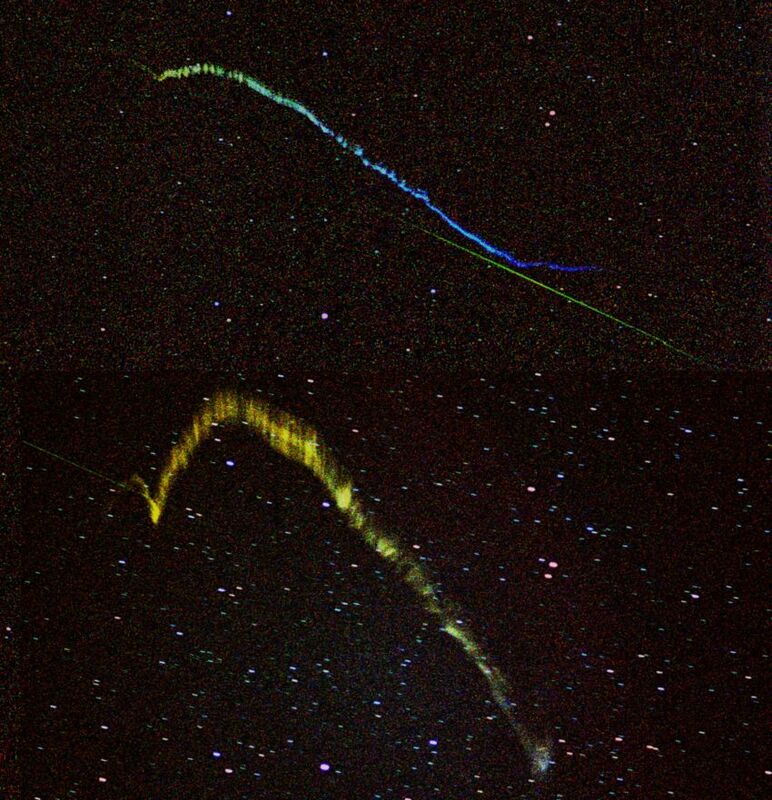 The Perseid meteor shower is caused by the passage of Earth through the dust trail left behind by the periodic comet Swift-Tuttle, which orbits the sun every 133 years, and last passed by our neck of the solar system in 1992. When Earth passes through the dust trail at its orbital speed of about 18 miles per second, our atmosphere collides with the dust grains, which heat up by friction and vaporize in flashy streaks across the sky. 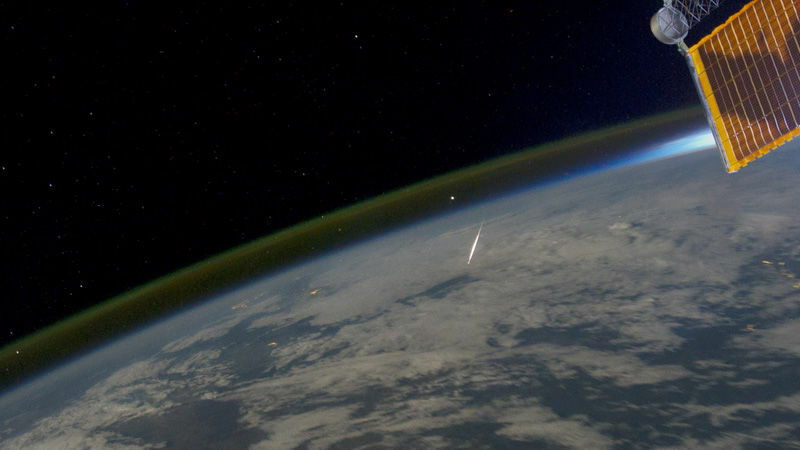 Also called "shooting stars" (not to be confused with Clint Eastwood or Vin Diesel), the typical meteor is a bit of rock or metal perhaps the size of your fingernail. Meteors can be different colors, depending on their brightness and the composition of the dust particle that is burning up. Fainter meteors tend to appear white, mainly because the human eye isn't good at seeing color when a light source is weak. The word "meteor" comes from Latin for "sky," or any atmospheric phenomenon, as in "meteorology," the study of weather. In ancient times, meteors (shooting stars) were counted as a weather phenomenon, and though they do occur in the upper atmosphere, their celestial origin was not known.